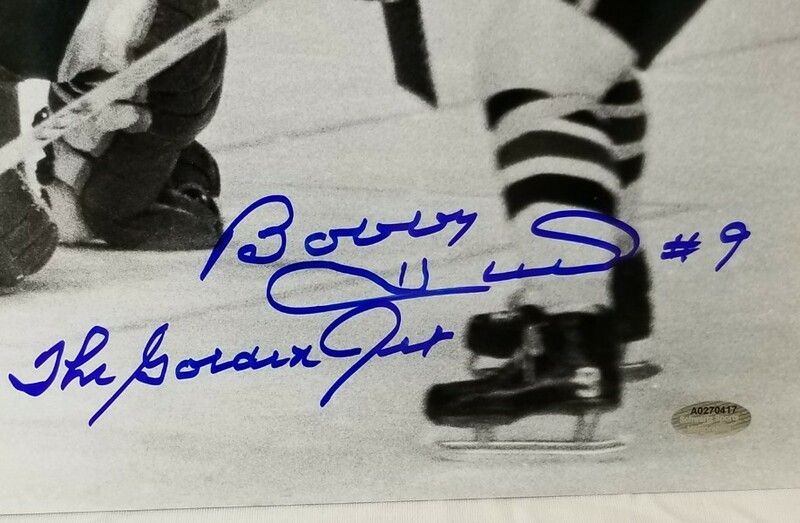 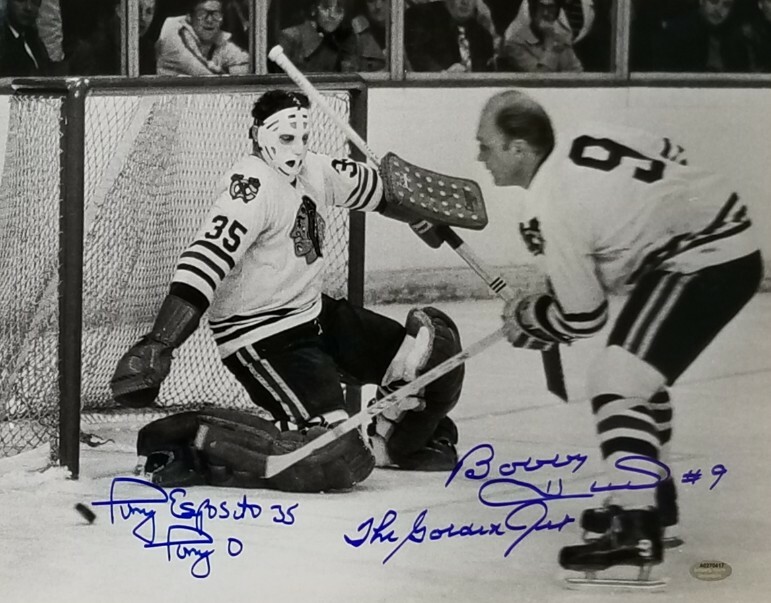 This autographed 11x14 photo has been personally hand-signed by Bobby Hull and Tony Esposito of the Chicago Blackhawks. Each added their nickname "The Golden Jet" & "Tony O" along with their signatures. These autographs are certified by Schwartz Sports. 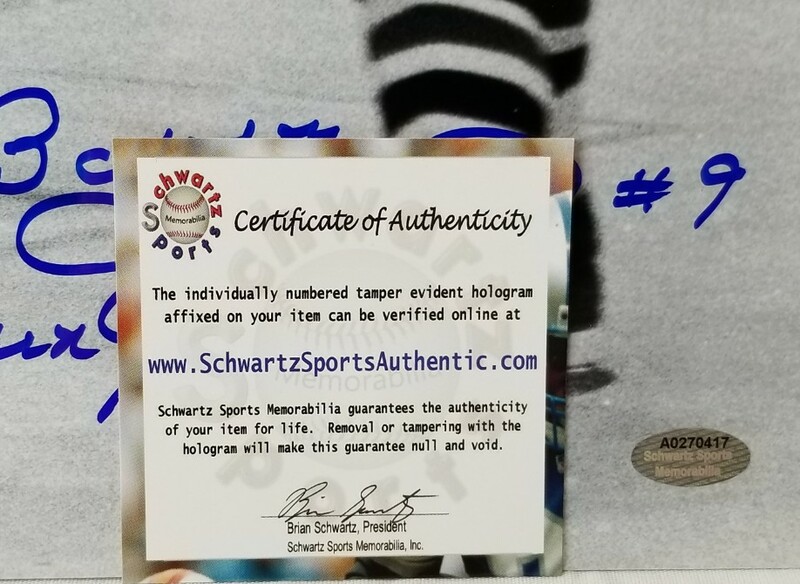 The photo comes with the numbered hologram and Certificate of Authenticity.